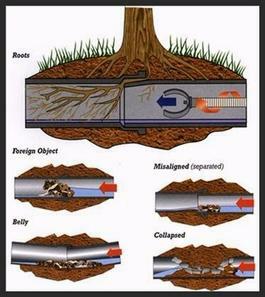 Your sewer and drain pipes are arguably one of the most important aspects of your property. Whether you are washing the dishes, taking a shower, watering the lawn, flushing the toilet, or doing laundry, your pipelines work tirelessly to move fluids to and away from your Indy property. At SLB Pipe Solutions, we service the Indy area with a variety of drain cleaning services that keep the city working at its full potential all year long. Pipeline problems are not something to be taken lightly. In a bustling city like Indianapolis, Indiana, residents, business owners, and tourists cannot be inconvenience with pipe issues whether they are big or small. Our team at SLB Pipe Solutions is always ready to service your sewer and drain systems with professionalism and precision. When your Indy property is experiencing drain and sewer issues it can be seem like the most efficient option to attempt to solve it yourself. While home improvement store offers do-it-yourself methods of drain cleaning, it is important to know that professional help is always the best solution. At home drain cleaning is often more harmful that it is helpful. Do-it-yourself drain cleaners contain toxic chemicals that appear to solve your pipeline problems when in reality, they only mask the issue instead of fully solving it. Before you pour harmful drain cleaner down your drain, call your local team at SLB Pipe Solutions to help save you time and money. Indianapolis residents do not need to be inconvenienced with drain problems, but that does not mean they will never occur. Our team at SLB Pipe Solutions wants to work with Indy residents to help them identify when there are problems, so they can stay aware and proactive about their drain health. Signs that your Indy drains need cleaning include slow flushing drains, sewer backup, flooding, and completely blocked pipelines. No matter what type of problem you are experiencing, it is generally clear when there is a problem within an area of your pipelines. Luckily, your local team at SLB is always standing by with effective drain cleaning methods. At SLB Pipe Solutions, the most effective drain cleaning service we offer Indy customers is hydro jetting. Hydro jetting is an environmentally friendly drain cleaning services that uses exclusively clean water to flush your drains of all debris and buildup. Hydro jetting involves our team locating a single access point on your property whether it is on the interior or exterior of your building. Our team will insert a hose with a multi-directional nozzle into your drain that sprays high-pressure water in all directions. Hydro jetting can clean calcified clogs with power, but it is not powerful enough to damage your pipes interior in any way. When the process is done, you will have a newly restored drain that is ready to service you to its fullest potential. Our drain cleaning services at SLB Pipe Solutions can be relied on regularly throughout the year to ensure your drain health. At SLB, we service Indianapolis and its surrounding areas with drain cleaning service they can count on. If you are experiencing pipeline problems, don’t hesitate to call your team of local professionals to schedule an appointment today!